Whenever space aliens plunk down—as they’ve steadily been doing, courtesy of Hollywood, for some 75 years—it’s always a priority to figure out why they’re here, what they want and if they have a message for us. All little E.T. wanted was to “phone home,” then to go home. The friendly “greys” in Close Encounters communicated with a blast of now-iconic musical notes. In a classic episode of The Twilight Zone, people of Earth learn too late that a space alien’s book was not a humanitarian help manual, but a collection of recipes—To Serve Man! In the moving, contemplative Arrival, people around the world wake up one day and discover gigantic, dark, featureless, pod-like spacecraft, all hovering silently a few yards above the ground—a dozen of them, in various locales around the planet. What do they want? What’s inside? Extraterrestrial tourists? Scientists? Warriors? Should we welcome them? Fear them? Blast them out of the sky? In the United States, one of the pods has “landed” in Montana and an elite team is scrambled to find out what’s going on. A key member is college professor Louise Banks (Amy Adams), a linguist and communications expert whose outstanding translation chops are already renowned by the U.S. military, especially to Col. Weber (Forest Whitaker). 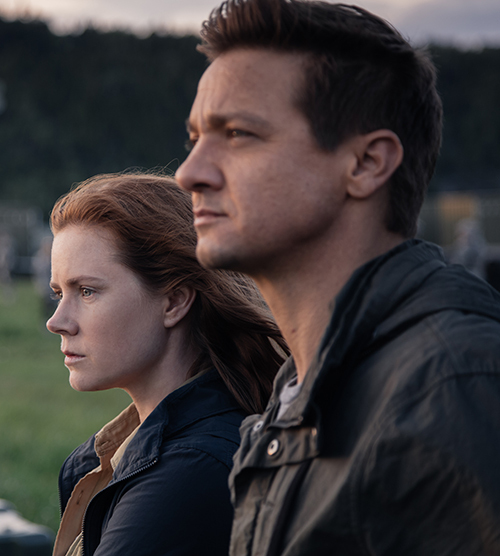 Whisked away in the middle of the night on a military chopper, Louise is teamed with a mathematician and man of science, Ian Donnelly (Jeremy Renner). Can the two of them decipher the extraterrestrials’ language, decode their message and determine their intentions—before the rest of the world freaks out and starts shooting? Working from a screenplay based on a short story by Ted Chiang, director Denis Villeneune, best known for the taut Prisoners (2013) and the gritty drug-war thriller Sicaro (2015), creates a trippy, timely tapestry about the power of communication—and about the possibilities of “language” far beyond simply spoken or written words. Only hours later, inside the pod, Louise and Ian interact—on the other side of a large window—with a pair of aliens, enormous, seven-legged, squid-like creatures that communicate in dark, circular “squirts.” These circles, Louise and Ian discover, are the aliens’ alphabet, their language, and pieces of a much larger puzzle—the keys to unlocking something much, much bigger and infinitely more mind-blowing. To reveal much else ventures into spoiler territory, but suffice it to say that when Louise cracks the code, there’s an ambiguity about a word that sends everyone into an international panic. 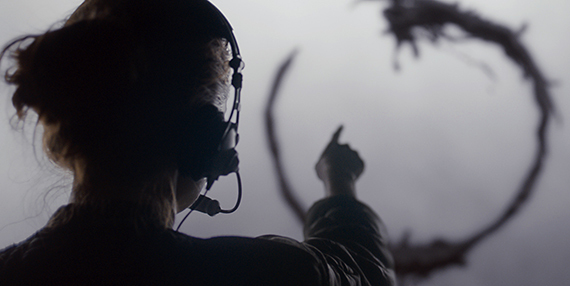 A prequel to the whole alien “arrival,” at the very beginning of the film, sets up the entire movie and becomes its heart and soul in ways you won’t know until the ending twist. 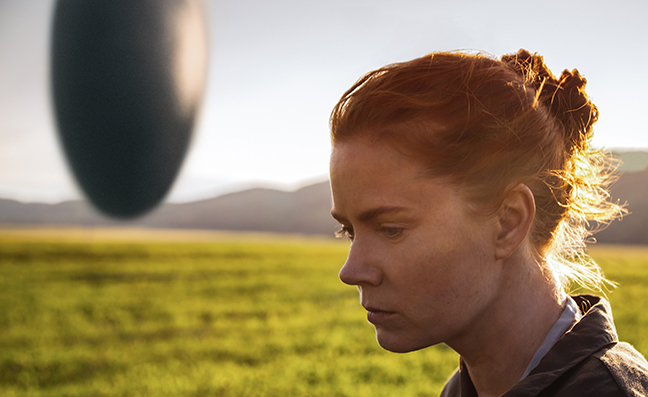 Amy Adams is brilliant as Louise, and it’s refreshing to see a whip-smart sci-fi movie that powers through so strongly and confidently on a character, an emotional human story and a performance, instead of special effects. And coming on the heels of such a rancorous, noxiously loud political season, in an era of so much noise blasted ceaselessly over so many channels, this movie’s uplifting message about the unifying power of communication—to reach beyond time and space, as a tool instead of a weapon, to heal instead of harm, and to build bridges instead of barriers—is a welcome Arrival, indeed.